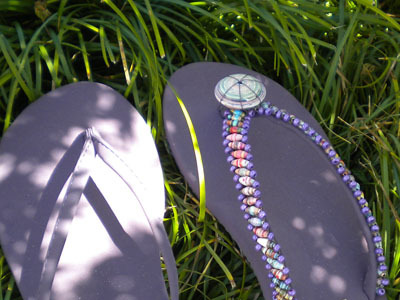 Summer is around the corner and it is time again for pretty pedicures and flip flops. This is such a fun project, easy and no beading experience required. I used the olive shaped paper beads for this project, some seed beads and 28 gauge craft wire. Another day of turning ordinary to extraordinary! 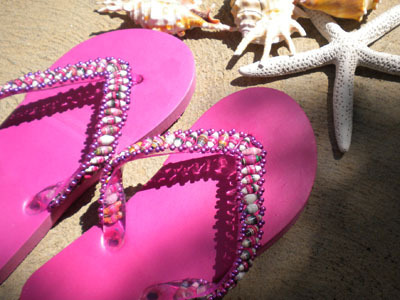 I can’t wait to start beading my flipflops! These are incredibly amazing! I love it!